Shall we have any kind of controls on the ownership of guns in the United States of America? The debate on this question usually degenerates into a shouting match between two intractable opposites; the one denying any kind of regulation whatsoever, the other wanting an outright ban. Neither position will move us forward as a nation. In response to the massacres at Sandy Hook, Columbine, Virginia Tech, Aurora, Co and now most recently at a Church South Carolina, I have finally put to print some thoughts and convictions I’ve held about Gun Control for a long time. In an effort to be calm and cool and measured in my own response to the issues before us I have prepared the following statement. The Second Amendment says as follows; "A well regulated Militia, being necessary to the security of a free State, the right of the people to keep and bear Arms, shall not be infringed." The NRA says of its own mission statement; The National Rifle Association of America (NRA) is an American non-profit that advocates for the protection of the Second Amendment of the Bill of Rights and the promotion of firearm ownership rights as well as marksmanship, firearm safety, and the protection of hunting and self-defense in the United States. In point of fact I agree with everything that is said both in the Second Amendment and in the Purpose statement of the NRA. 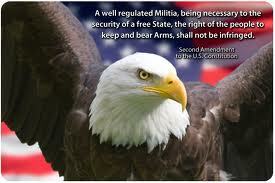 The Second Amendment begins with the words “Well Regulated”. Let us assume that we can agree with legal ownership of guns and rifles and ammunition for the purpose of self defense, hunting, sportsmanship, marksmanship etc. So far, so good. It would follow then that legal gun owners in this country have a right to a license to own a gun. In order to protect the gun owner and the public, such a license shall be mandatory. Police Chief’s and Sheriff’s around the country shall issue such licenses under procedures adopted by various jurisdictions and under protection of the law. Folks deemed dangerous to themselves or to the public may be denied a such a license in a manner to be approved of by a court of law. The NRA goes on to say that firearm safety is a matter of core concern to its own existence. In the interests of firearm safety, licensed gun owners shall belong to a local gun club and maintain a level of gun safety proficiency as approved of by the NRA. This shall also be mandatory. All firearms shall be registered with the local police and sheriff's departments. This registration shall include a “print” of the firearm’s ballistics report to make tracking of each firearm identifiable. Thus all persons wishing to bear arms in the United States shall have the right to do so as a matter of due process and under the protection of the Second Amendment. All weapons shall also be known and identifiable to local police and sheriff’s departments. Purchase and sale of all ammunition shall be tracked and reported to local police and sheriff’s departments. There shall be a ban on the private ownership of assault weapons, except that there may be some use and ownership of assault weapons at gun clubs under the supervision of the NRA. Assault weapons shall not leave the premises of of such gun clubs. One of the most telling bits of information that has come out about this most recent tragedy is that this perpetrator was even denied membership in a local gun club because of the bizarre nature of his behavior. 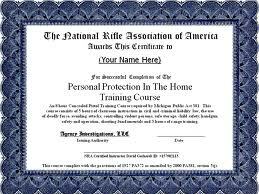 Therefore it stands to reason that to protect the goal of firearm safety, gun club membership must be made mandatory. If one cannot measure up to the standards of a gun club in good standing with the NRA, such a person's right to bear arms certainly needs to come under question by the local police/sheriff and may go before the court for adjudication. I offer these thoughts as a matter for discussion and conversation. This sounds reasonable to me. The NRA refuses any and all attempts to protect the American Public, our children, those who worship and gather for peaceful and public purposes. The statistics speak for themselves. Other nations manage to keep the carnage in check. And the United States; 30,000.